“Magnum Principium” is one of the major documents of Francis’ pontificate. For this reason it deserves an analysis that is not only one of historical-theological context—and not just from the point of view of its possible consequences for the liturgical texts in English—but also an analysis of the institutional context in which it was decided and published. The establishment of national bishops’ conferences, to which the apostolic letter gives back authority in matters of translations of liturgical texts, was the most important and effective institutional reform of the Second Vatican Council. Even before the council’s “Decree on the Bishops’ Pastoral Office in the Church” (1965), which mandated the creation of national bishops’ conferences in all nations, the “Constitution on the Sacred Liturgy,” approved in December 1963, relied on this new (though certainly present in different forms in the early centuries of Christianity) governing structure in the Catholic Church. This was part of the council fathers’ larger vision for a new relationship between Rome and the local churches. In this sense, Francis addresses the issue of the translations of liturgical texts in the context of his vision for the church and the role of the Roman Curia. “Magnum Principium” also continues a pattern that has proven one of the most interesting elements of this pontificate. Francis’ efforts to reform the Roman Curia and decentralize the government of the Roman Catholic Church have tended to bypass and evade the role of the congregations of the Roman Curia. For example, “Magnum Principium” was issued by the pope motu proprio (“on his own initiative”),not as an instruction of the Congregation for Divine Worship and the Discipline of the Sacraments or a joint document of more than one congregation. It is also notable that “Magnum Principium” was published during a papal trip abroad. It was published the day Francis was in Medellín, Colombia, where the foundational event for the post-Vatican II church in Latin America took place: the continental conference of CELAM (the council of the Roman Catholic bishops of Latin America) in 1968. If it was a coincidence, it was a very interesting one. The document must also be read in the context of the recent history of the Congregation for Divine Worship and the Discipline of the Sacraments and the recurring tensions between Pope Francis and Cardinal Robert Sarah, the prefect of the congregation and the most visible critic of this pontificate from inside the Roman Curia. It is hard to imagine much of a role for Cardinal Sarah, who was appointed prefect by Francis in November 2014, in the crafting of this text. The prefect is not mentioned, and the official commentary accompanying the publication of “Magnum Principium” does not have his signature but instead that of the secretary of the congregation, Archbishop Arthur Roche (appointed by Benedict XVI in June 2012 to replace Archbishop Joseph Augustine Di Noia, who was made vice president of the Pontifical Commission “Ecclesia Dei” by Benedict XVI). Archbishop Roche was chairman of the International Commission on English in the Liturgy between 2003 and 2012, when the commission oversaw the new English translation of the Mass. In the apostolic letter, Francis says that he relied on a commission of bishops and experts. We do not know the names of the members, but in October 2016 the Congregation for Divine Worship and the Discipline of the Sacraments went through a major change of personnel, with the appointment of 27 new members. Among them was the former liturgist for St. John Paul II, Archbishop Piero Marini. Among those removed from the two congregations were the cardinals Angelo Scola (Milan), Angelo Bagnasco (Genoa) and Peter Erdo (Esztergom-Budapest). Perhaps more important, however, were the departures of these four cardinals: George Pell (Secretariat for the Economy), Raymond Burke (Knights of Malta), Marc Ouellet (Congregation for Bishops) and Malcolm Ranjith (Colombo, Sri Lanka). New appointees included Cardinal Parolin, the Vatican secretary of state; and a new cardinal who very much shares Francis’ ecclesiology, John Atcherley Dew, archbishop of Wellington, New Zealand. Though some see in this document an endorsement of a more “localist” ecclesiology as part of Francis’ decentralization effort, “Magnum Principium” can also be seen as Francis’ response to the issue of translations of liturgical texts in the English-speaking world in this last decade. 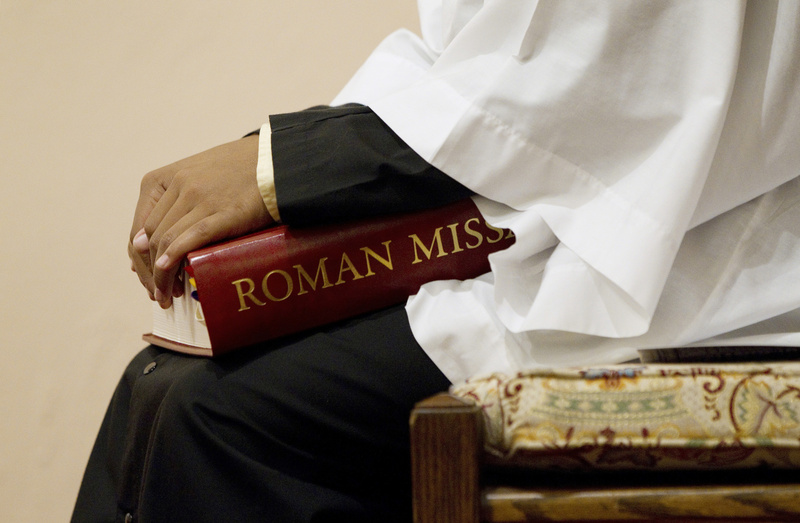 “The sorry saga of the failed English translation of Roman Missal III,” as the Rev. Michael Ryan put it in an article for America, is a key part of the context. It is important to remember that the new English translation of the Missal was more a U.S.-led operation than a Roman one, with major American prelates taking the lead to change ICEL and the role of the Vatican in the process of liturgical translations, as John Baldovin, S.J., has pointed out. Other language groups resisted the new wave of revisions of liturgical translations under Benedict XVI—even some not known for hostility to the Vatican and the papacy. For example, in 2012, the Italian bishops’ conference rejected the change in the translation of pro multis in the liturgy from “for all” to “for many” by an overwhelming majority. With “Magnum Principium,” Francis is restoring trust between Rome and the national bishops’ conferences but at the same time reasserting the role of Rome as the institutional guarantee of the trajectory of the liturgical reform of Vatican II. This mix of a top-down (the role of the papacy) and bottom-up (bishops’ conferences) approach has been typical of the history of liturgical reform since Vatican II, particularly during the pontificate of Paul VI. Finally, “Magnum Principium” says something about the governing style of Francis. This apostolic letter is further evidence that Francis is governing the Catholic Church with almost no reliance on the Curia and, in some cases, is working at odds withmajor figures in the Curia. It is clear that Francis has in mind a continuing role for the Roman Curia in the church. In a recent book-length interview in French with the sociologist Dominique Wolton, Francis dismisses the idea of abolishing the Curia. At the same time, he is using the Curia in a very different way than his predecessors. All this is taking place just as a comprehensive plan for the reform of the Roman Curia is approaching its final stage, as the secretary of the pope’s Council of Cardinals, Bishop Marcello Semeraro, announced in an interview with Vatican Radio just a few hours before Francis returned from Colombia. In going forward, we must be very conscious of the specific faults of Liturgiam Authenticum and of the current Roman Missal. In addition to the mere transliteration of Latin instead of translation into contemporary English, LA and the General Instructions of the Roman Missal which preceded the translation by several years show patterns of abusing the liturgy for other purposes. 1. They rejected ecumenical progress by eliminating the consensus texts which had been negotiated and approved over many years. 2. Further anti-ecumenical rulings prohibited practices common to all the churches and history and insisted on specifically Roman practices such as using a crucifix rather than a cross in processions. 3. Most obviously, these rulings were clericalist, moving actions and focus back to the ordained and away from full participation by all present, reserving actions to the clergy on the flimsiest pretexts of possible lay mistakes which they called abuses. Merely reversing these trends, however, is insufficient. Every part of the accretions, every action which goes beyond sharing Scripture and a meal within the Christian community must be examined through asking whether or not it contributes to the purpose, the practical function of liturgy, the communal strengthening of Christian individuals to live in secular society by dealing with the daily challenges they face in loving their neighbors despite social, commercial, economic, and cultural pressures. The point is not to transmit culture, especially cultures of dominance or elegance. The point of the Eucharistic Liturgy is to directly help people. Massimo Faggioli is a professor of theology and religious studies at Villanova University and contributing editor to Commonweal.